James West Limited was incorporated in 1992. 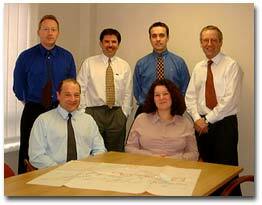 The company was formed to carry out design and build contracts in the industrial and commercial sectors. Warehouses, factory units, office blocks, extending existing premises and complete turnkey projects on Green field sites. The company has an excellent working environment created by the principle of each employee feeling valued. This philosophy has resulted in a strong dedicated team of people striving to meet the needs of our clients. Directors Leonard Hindle and Geoffrey Woods are the founding directors and major shareholders of the company. We believe it is our personal involvement and dedication which sets us apart and gives James West a unique perspective within the industry. Leonard Hindle, born in Chadderton and residing in Royton, Oldham, has worked for over 25 years in General Contracting specialising in Commercial Design and Build Contracts. Leonard is married with two children, he is Chairman of Governors at North Chadderton School and his interests are football, film making and America. Geoffrey Woods also born in Chadderton and now residing in Springhead, Oldham has over 25 years experience in the building industry and has been involved in the Design & Build Sector for the last 15 years. Geoffrey is widowed with three grown up sons, his interest are mountaineering, skiing and cricket.